Long story short, I won a puzzle thingy with the chaps I play badminton with and I jokingly said do I win a cookie? 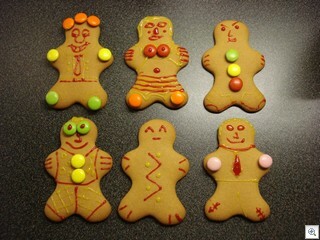 I didn’t get a cookie, but certainly a prize of the biscuit variety, six gingerbread men! Can you tell which three I decorated and which three Kate did? 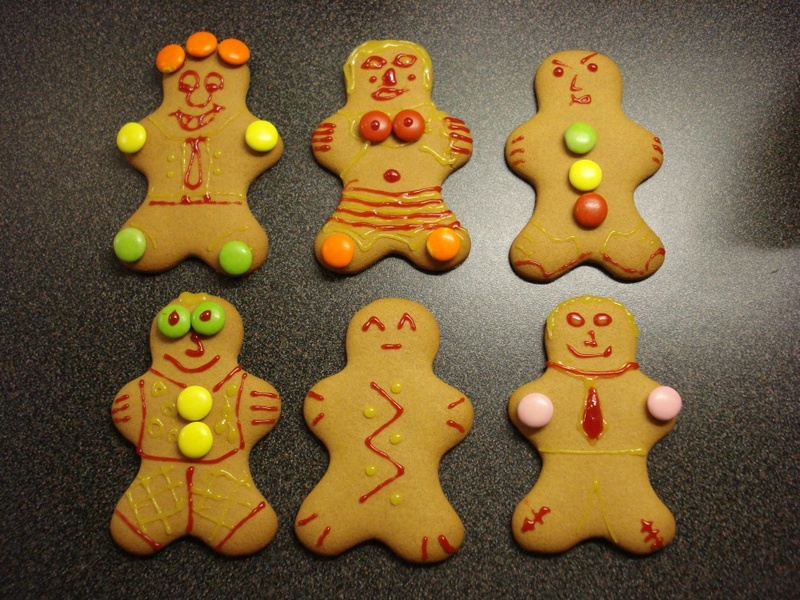 Winner gets… a cookie! I call the top right one the angry Frenchman. You obviously made the one with the manbreasts! That’s what I’d like you to think, but nope, Kate did that one! I hear I’m supposed to read this blog.